Time does fly by quickly doesn’t it! So I’ve been spending a lot of extra time in the garden lately. Here are some very out of date photos of what we’ve been up to. 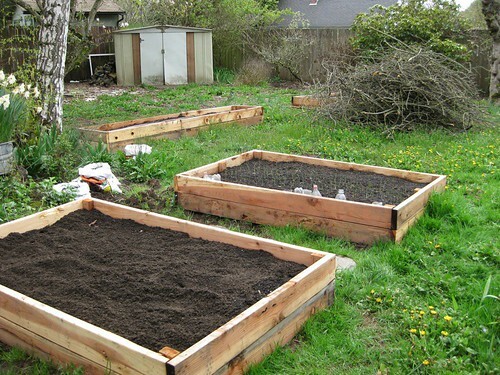 These beds are now bursting with things growing in them, and the nest of stcks is gone! 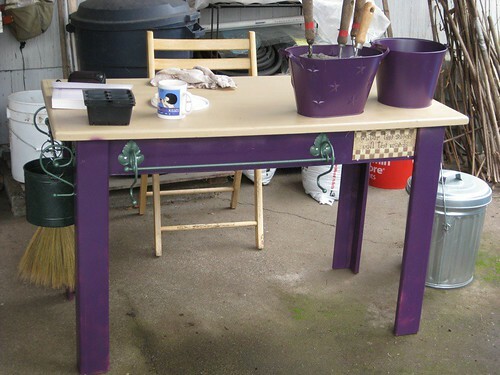 This is a potting table Anthony spiffied up for me for my birthday. I love it! It gives me a place to get dirty that isn’t the table we eat on when we’re outside. 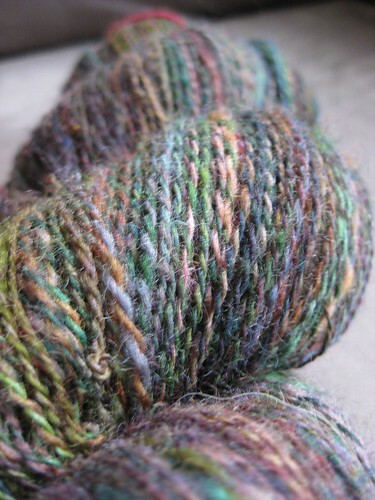 Some handspun lace wool that hasn’t been washed yet. I’m trying to hold off, so I can finish that wedding shawl! Ah, that’s a sweet little table, and I love the yarn. Beautiful colors!